L ast year I participated in the first Food Blogger Cookie Swap. I had such a wonderful experience that as soon as I received the email this year, I immediately signed up. It’s always stressful for me though trying to decide which cookies I want to bake for my swapees. I mean these are foodies just like me and you can’t send them just anything. Well you can, but it stresses me a bit. This year I knew exactly what I was going to bake – chocolate and peppermint. Nothing smells more like Christmas than a house baking up peppermint cookies. These cookies came out very moist – and with a definite peppermint taste. My family gave them two thumbs up. In a separate bowl, add butter and sugars. Beat until fluffy, about 2 minutes. Add eggs and vanilla. Mix with a beater until thoroughly combined. With the mixer on low, mix in the flour slowly and beat together a little at a time. Add in chocolate chips and peppermint crunch baking chips and fold in. 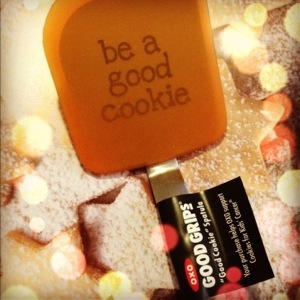 Using a cookie scoop, drop batter on ungreased cookie sheets about 2 inches apart. Bake until just cracked on top, about 8 to10 minutes, rotating the pan halfway through the cooking time. In a small bowl, add all the ingredients and mix until smooth. Place glaze in a Ziploc bag and seal. Snip off the corner on one side of the bag. Drizzle glaze over cooled cookies. Let cookies stand until set, about 10 minutes. And here are the cookies I received in the swap. I’m always so excited to received my packages because I know whoever made them does so with love and they make such a special treat for the family. My first package arrived from Christy at My Invisible Crown. The packaging was so beautiful and included a crown cookie cutter. How cute! 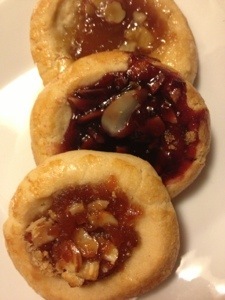 The thumbprint cookies were so good and she included multiple types of jam on them. They went quick in our house. The second batch I received were Cranberry Bittersweet Chocolate Shortbread Cookies from Jes at Urban Sacred Garden. I love cranberries and have never had them in cookies. They were addictive and I’m looking forward to making these tasty treats for our family gathering this year. 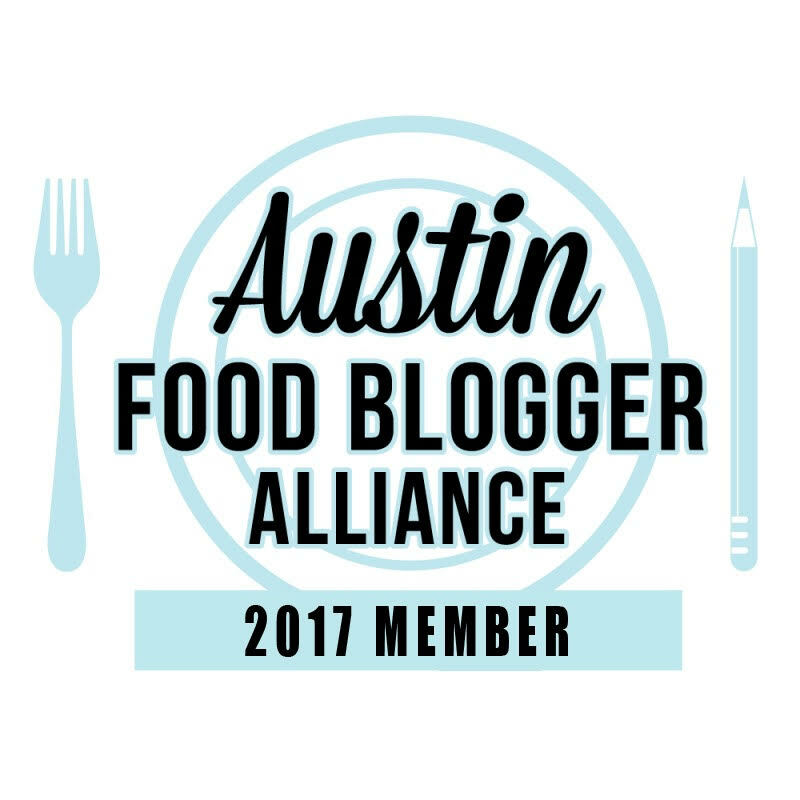 Note – I forgot to thank OXO for being a sponsor of the Food Blogger Cookie Swap. They sent all of the participants a cute cookie spatula. Thanks for being an awesome sponsor OXO! Thanks for the cookie Denise! 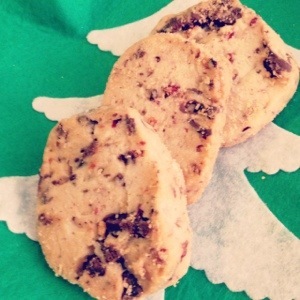 I randomly bought some peppermint crunch chips a few weeks ago, I'm definitely going to make these cookies. They were fabulous! Thanks Sarah! 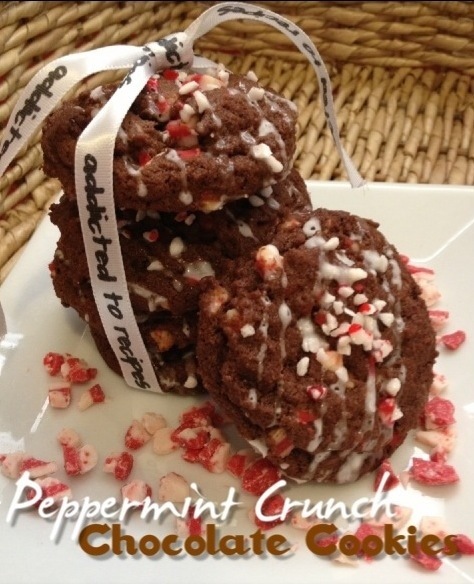 I'm on the search for more peppermint crunch so I can make more of them. I confess ... I hid these from my family and ate them ALL myself. Bad, bad blogger. ;) Thanks for the deliciousness! Haha Justine. I'm so glad you liked them. Hi Denise! I'm so happy you enjoyed the shortbread cookies. I Love them, too (but maybe that is a given)! :) Sorry I didn't have a recipe ready to print when I shipped your cookies. I made them in Portland, OR in a friend's kitchen on a work trip, even though I live in Kentucky. But now I'm all settled in at home and the recipe is posted on my blog if you need it. Happy Holidays!